Wow! It has been over 2 years since my last post! Well it’s better late than never to start up again, I suppose. To be honest, I forgot about this blog until our newest novice, Frater Jordan, commented that he enjoyed reading my blog and that it actually helped him in his own discernment to enter St. Norbert Abbey. Thus, I figured that I should start blogging again just in case anyone else out there is paying attention! As I write this post, I’m well aware that in 20 minutes or so I need to return to the kitchen at Holy Spirit House of Studies to start boiling some beer and onions so I can prep the brats that will go on the grill for our house cookout in honor of Labor Day. This year in Chicago there will be 10 of us living in the house. 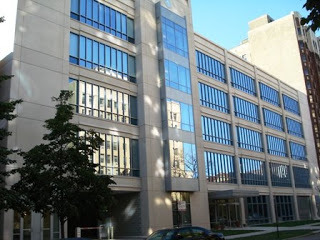 Most of us will be studying at Catholic Theological Union (CTU). One will be pursuing a social work administration degree at the University of Chicago and another will be working on a doctoral dissertation through the University of Michigan at Ann Arbor. I resume classes tomorrow. Although I was not ready to return to Chicago for another year of school, I am excited to begin classwork towards my M.A. in Liturgy this semester. The classes I’m enrolled in for Fall are: Sacraments I: Initiation and Reconciliation; Introduction to Moral Theology; Preaching I; and Ministry Practicum. The latter class gives me the opportunity to work in a parish downtown. So, on Sundays, Tuesdays and Wednesdays, I will bus and train downtown to the campus of De Paul University and work in the parish there. Right now it looks like I will be assisting in liturgical catechesis, –that is, helping to educate and introduce the Faithful to the deeper theological way in which they perform certain ministries (e.g. lectors, Extraordinary Ministers of Holy Communion, cantors, etc.) — organizing and leading a weekly Lectio Devina scripture study, as well as the occasional assistance with Baptismal or Wedding Preparations.